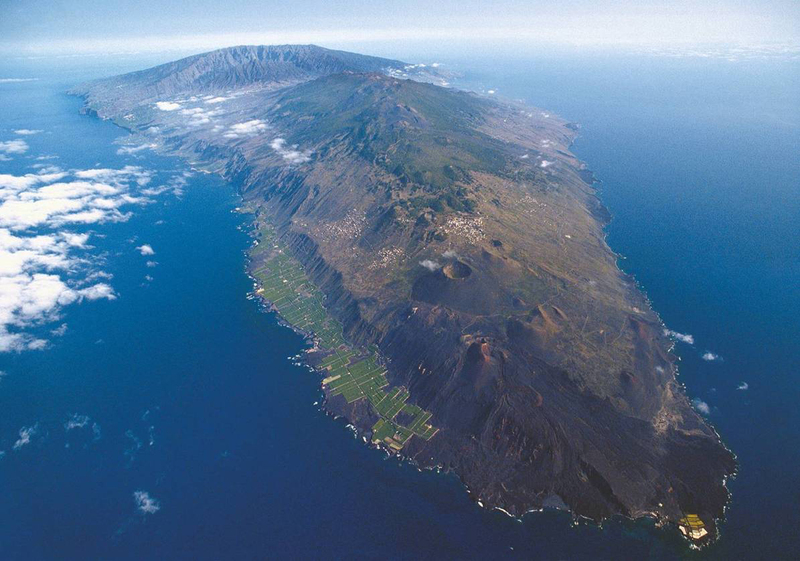 It is not by chance that La Palma is known as La Isla Bonita. Its 708.32 km² were declared a Biosphere Reserve in 2002 and its geographical position, five degrees from the Tropic of Cancer and 445 km from the African coast, bless the island with an average annual temperature of 20ºC. The capital is Santa Cruz de La Palma, founded in 1493 with the name of Villa de Apurón. A village of such beauty that king Philip II of Spain granted Santa Cruz with the title of Very Noble and Loyal in 1542. Coquettish and seafaring, a walk in its cobbled streets to admire the colonial-style houses is like travelling to the time when daring conquerors and buccaneers sailed from its costs to the New World. Its clean skies and exceptional sky-gazing conditions made it a winner of the Starlight distinction, awarded to skies with the best astronomical qualities. The clarity with which we can observe the stars was key for Admirals like Christoph Kolumbus to design sky maps to orientate themselves across the Atlantic Ocean. In fact, one of the most complete telescopes in the whole world is located in Roque de los Muchachos, at 2,420 meters. Its 1,000 km of treks, forests, volcanoes, salt marshes and fertile topography are the best seedbed for grapes like listán blanco, verdejo or malvasía, with which superb wines full of personality are elaborated. They form a perfect pairing with another star product of this privileged island: cigars. Ranked amongst the best in the world, the crop of the cigar from La Palma began in the nineteenth century, brought by the islanders who had gone to seek fortune on the other side of the Atlantic. Tobacco plantations are located mainly in Breña Alta, but also in other areas as La Caldera (El Paso), La Rosa (Villa de Mazo), Breña Baja and Santa Cruz de La Palma. The quality of its leaves and the delicate work of the islanders results in a unique aroma which is balanced and intense; characteristics which, as it happens, we find in our KOLUMBUS cigars. Amazing! This island seems to have so much history to discover… with a cigar!